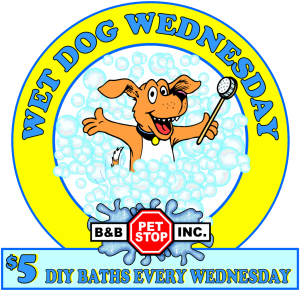 And we’ve got EVERYTHING you could possibly want for your pet! Wait – where are the dogs + cats? Purebred dogs and cats are wonderful, especially if you get them from a reputable breeder, but we don’t sell them because we know there are so many pets looking for good homes in our area. Once you select a new pet, please come see our VAST selection of dog + cat supplies, including toys, treats, dog houses, kennels, crates, flea control products, litter pans, grooming supplies, collars, leashes, beds, bowls, bones, and premium pet foods for dogs & cats. WHAT you feed your dogs & cats is a very important part of keeping your pet healthy and active. We recommend Grandma Mae’s Country Naturals and several other high quality pet foods. Bring your pet in for a consultation with one of pet nutrition counselors. While you’re here your dog can select a favorite treat from the hundreds we offer; biscuits, rawhide chews, and what we call “body parts” (pig ears, cow hooves, shin bones, etc.) There’s something for everyone here! Every bag of dog and cat food that we sell is 100% guaranteed – if your pet doesn’t like it, bring it back and we’ll exchange it for something he does like. Plus, as a B&B Pet Stop Rewards Club Member, you’ll get FREE FOOD FASTER – Buy 9 packages of a brand within a year, get the size most frequently purchased FREE! SAVE YOUR BACK! Our stainless steel tubs are waist high – no more BENDING over a bathtub at home. And they have “on-ramps” so you don’t have to lift your pet. Each tub also has a “booster” platform so you don’t have to lean over to bathe small dogs. WE CLEAN UP! The worst part of bathing your dogs & cats at home is the mess. 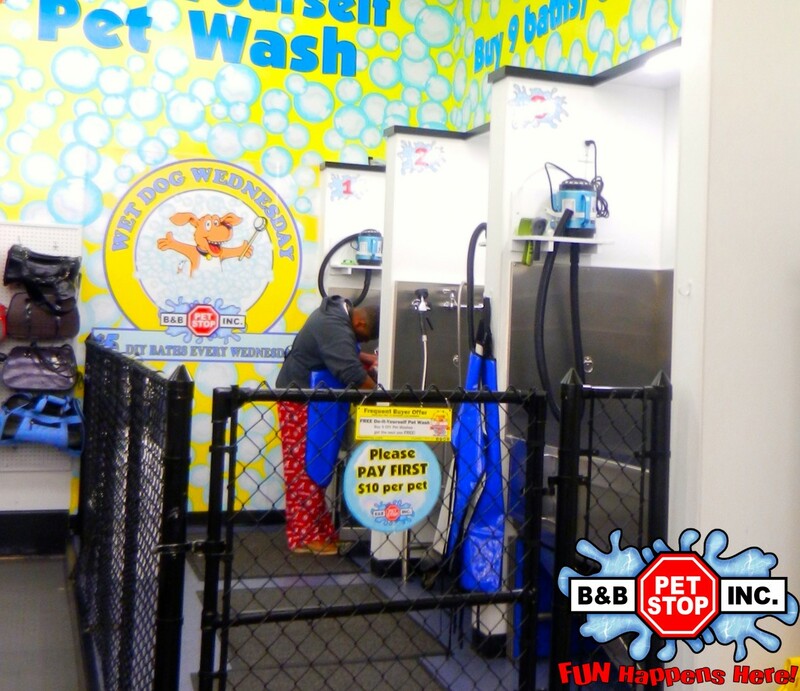 At B&B Pet Stop, you can be as messy as you need to be; bathe and dry your pet then just walk away from the mess. WE CLEAN UP! That’s so great let’s just say it again: WE CLEAN UP. SAVE YOUR TOWELS! 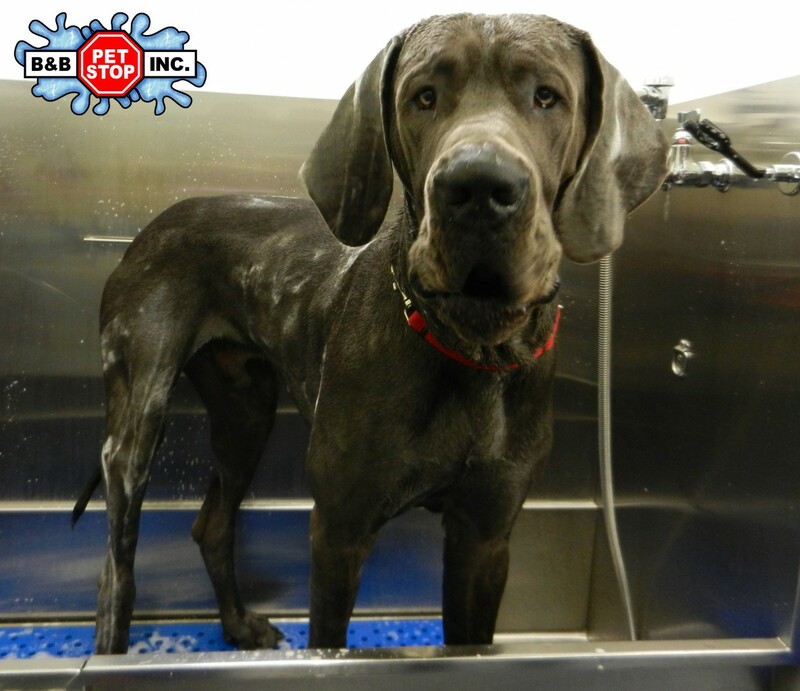 Don’t use your fancy bath towels on your dogs & cats – use our industrial strength pet drying towels. (pssst! you can even leave it in a wet heap on the floor – we don’t care!) Warm air blow dryers are available to safely dry any pet. SHAMPOO Each bath includes a 1 oz. of BioGroom shampoo at no extra charge. Additional 1 ounce containers are available for $1.00 each or bring your own from home! RAIN OR SHINE Hot or cold. 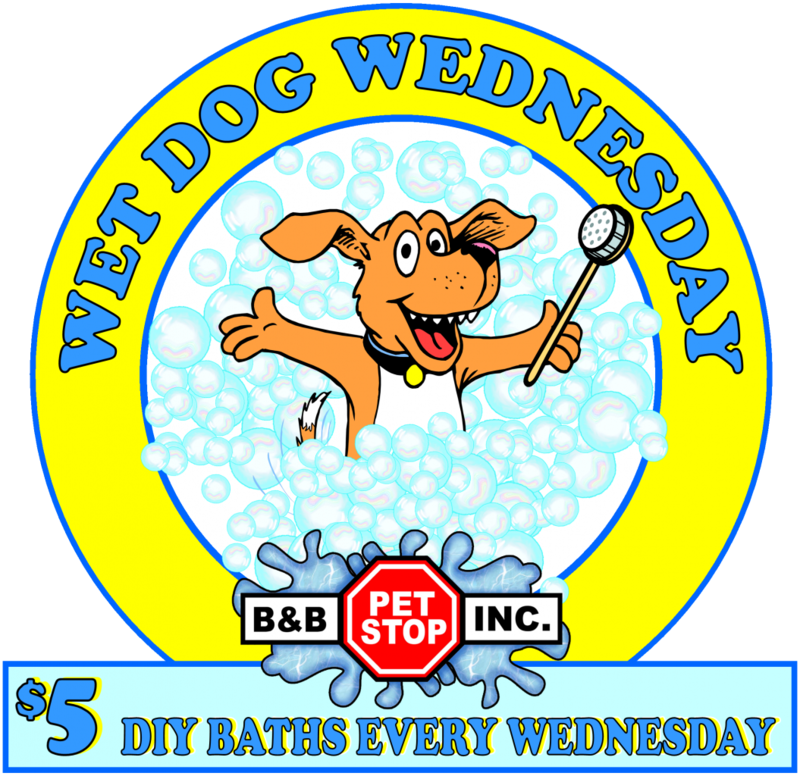 Our “Do it Yourself” Pet Wash Tubs are open 7 days a week – No appointment necessary, just walk in. No matter what the weather is like outside – it’s always a whole lot easier to bathe your dogs & cats at B&B Pet Stop!